With authentic Vacuum Tube response and an open-ended design, (ZERO global negative feedback), Tube Driver BLUE overcomes one of the most universally agreed upon sonic problems plaguing virtually all current amplifier designs; harsh degenerative feedback causes a plethora of undesirable sonic products. Tube Driver BLUE eliminates global negative feedback entirely! Coupled with a totally unique output load mirroring circuit, the hand selected 6SL7GT twin triode tubes operate in a safe, near plate-saturated mode continuously. The design creates the ideal electrical environment for classic vacuum tube thermionic characteristics. 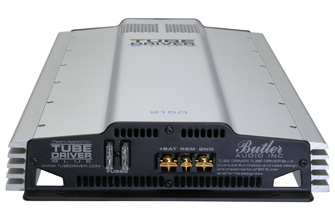 Tube Driver BLUE amplifiers utilize natural vacuum tube thermionic emissions to automatically enhance biasing of the audiophile-quality Sanken bi-polar devices used in every model. This unique USA patented design reduces both Crossover and Total Harmonic Distortion (THD) figures to LESS than 0.15%. This achievement is almost unheard of in an open-ended, ZERO negative feedback high fidelity amplifier. 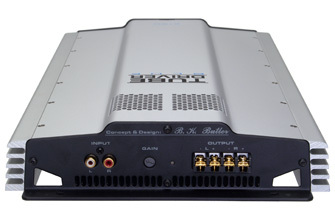 Conventional open-ended/low feedback vacuum tube amplifiers often exhibit real world THD of 2% or greater and are generally limited to quite low output power. Tube Driver BLUE succeeds in operating at 10 times less THD while maintaining real power vacuum tube tonality! Now you can hear the original pure essence of vacuum tube audio with Tube Driver BLUE. All this performance must be effectively controlled. The exceptional electrical design of the Tube Driver BLUE, coupled with a MASSIVE aluminum heat exchanger and heat sink, provides protection and cooling capacity far in excess of any contemplated needs. A long life, temperature-controlled cooling fan is activated if the surface temperature exceeds 50° C, keeping heat stress well within safety levels. 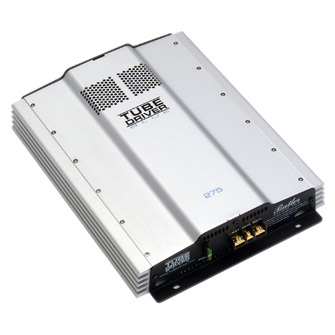 Additionally, DC fault protection with soft start (10-15 sec) and a fully regulated DC tube-heater supply circuit protect your Tube Driver BLUE amplifiers in every conceivable way.